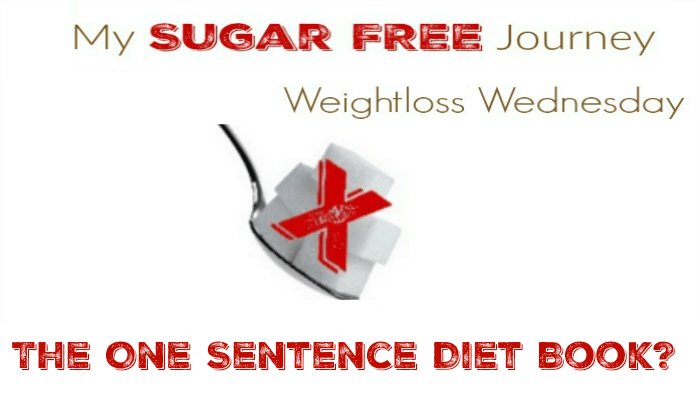 2/23 Weightloss Wednesday: The One Sentence Diet Book? It’s time for Weightloss Wednesday! Yeah I’m a day late again but sometimes life gets nutty. As of this morning I’m at 218.0 which means I’m 182 lbs down. It also means that I haven’t lost anything this week. It’s a bit disappointing but I’m fine with that. I’ve started eating a little more at work. Not full meals but like a can of mixed nuts. Apparently that’s enough to slow or stop my weight loss. It would appear that the long period of intermittent fasting is the main thing that is driving weight loss and when I don’t include it on my schedule, the weight loss stops. Last night I listened to an interview with Neil DeGrasse Tyson (That is cued to the part where he talks about diet if you want to give a listen) and he was laughing that a diet book written by a physicist would only be one line long. “Consume less calories than you take in.” Cue laughter. He was talking about how much heat he got from twitter when he said that from people saying it wasn’t that simple but of course he laughed at hem because when you know Science you can break down all extra stuff and see the problem for what it is. Of course, we aren’t a Physics problem are we? Biology is different. If you consume less calories, the body takes steps to expend less calories. We need something else. We need another way. And if that means people as smart as Neil DeGrasse Tyson and this guy think we are stupid, well so be it. I’d rather be thin than spend my life trying to prove them right.